Thousands of Iranians gathered in the giant auditorium in Villepente Exhibition Center, just outside in a massive expression of support urging the world to adopt a firm approach toward the Iranian government. The gathering featured an array of speakers from all over the world and across the political spectrum, including Saudi Prince Turki bin Faisal and a large delegation from the Syrian democratic opposition. Iran’s media outlets, such as Royesh Melat, reacted by criticizing the gathering. 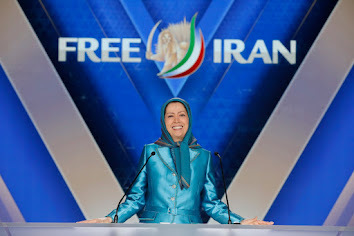 The gathering, held annually near Paris, typically draws hundreds of prominent figures from all over the world, and was a display of the political power of Iran’s opposition. 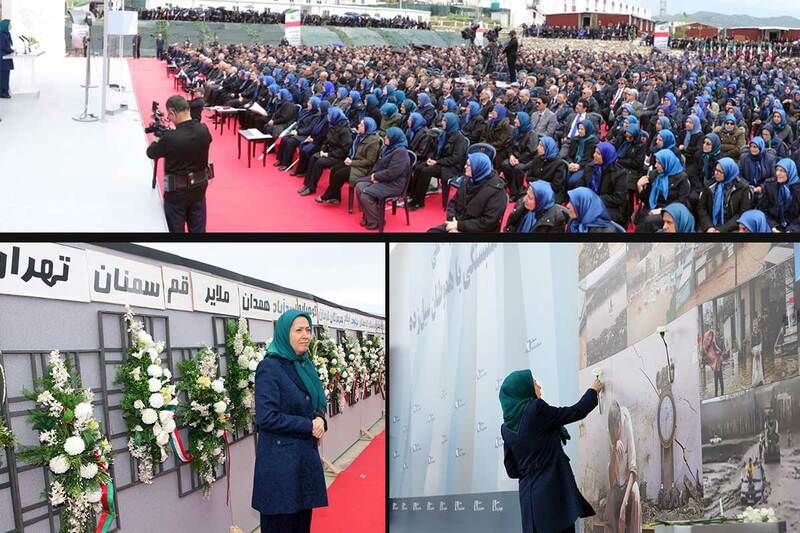 The rally captured the growing momentum for change with respect to Iran including changes in policies and attitudes in the Middle East and Washington, and the prospects for a new approach towards the clerical establishment in Iran. The array of speakers, which included several prominent Americans, including former Democratic party’s nominee for Vice President and former US senator, Joe Lieberman, former New York Mayor Rudy Giuliani, former House Speaker Newt Gingrich, former attorney General Michael Mukasey, former Homeland Security Secretary, Tom Ridge, former FBI director Louis Freeh, former US Ambassador to the UN, John Bolton, Rudy Giuliani and Congressmen Ted Poe, Robert Pittenger and Tom Garretall, expressed hope that the changes taking place in the international community would culminate in a new approach towards Iran and a strategic partnership with the Iranian opposition. Giuliani in particular expressed hope that the new administration in the United States would take steps to not only implement a new approach towards the political establishment in Iran, but to embrace the Iranian opposition in tackling a common problem. “The ruling regime is in disarray and paralyzed as never before. Iranian society is simmering with discontent and the international community is finally getting closer to the reality that appeasing the ruling theocracy is misguided.” said Maryam Rajavi, the President-elect of the National Council of Resistance of Iran (NCRI), who struck a hopeful note for democratic change. Rajavi added that the international community must “Recognize the resistance of the Iranian people to overthrow the mullahs’ religious dictatorship and designate the Islamic Revolutionary Guards Corps (IRGC) as a terrorist organization and evict it from the entire region.” “Our people want a constitution based on freedom, democracy, and equality,” Rajavi said. Gingrich praised the Iranian opposition as not only a just and pure movement, praising the leadership of Maryam Rajavi by stating ““She is persistent in difficult times. She is a great leader. I thank each of you on her behalf to help her make her a truly historic figure. The rally attempted to offer a clear vision of what change in Iran could look like, and the broad based from all over the world to make this vision come true. The movement believes that given the current political climate and the potential for change within the region, the prospect for a new Iran, and free Iran may be closer than ever. It appears that Iranian leaders are more concerned about the soft power of Western powers and the opposition than their hard power. Iran’s Supreme Leader, Ayatollah Ali Khamenei, has frequently warned about the dangers of political and cultural infiltration. You can order Dr. Rafizadeh’s books on Here. You can sign up for Dr. Rafizadeh’s newsletter for the latest news and analyses on Here. You can contact him at Dr.rafizadeh@post.harvard.edu or follow him at @Dr_Rafizadeh.